The Village Voice eNewsletter is provided as a service of the Village of Vernon Hills. This eNewsletter is distributed approximately twice each month. You may manage your subscription at the bottom of the page. Please direct your comments to Social@vhills.org. Daylight Savings Time begins Sunday, March 11. Move your clocks ahead one hour – Spring Forward! Change your smoke detector batteries when you change your clocks! During the March 6 Board Meeting, Trustees approved this year's Village Road Rehab Project. (Board Meeting 3-6-18) This year's efforts will focus on Midway and Lindon Lanes in the Deerpath subdivision. Work is expected to begin May 1 and run through the end of June. 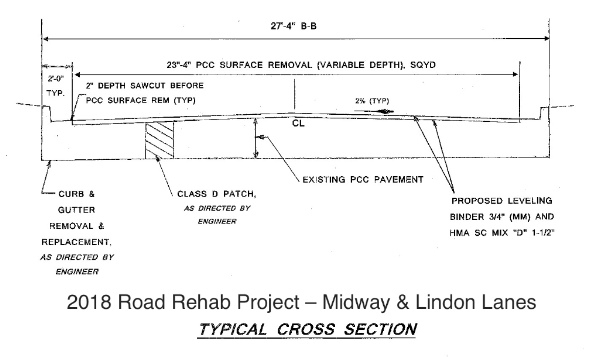 Lindon and Midway Lanes are the Village's only concrete streets, and after researching options, it was determined that the most appropriate action will be to grind down and resurface these streets. David Brown, Village Public Works Director/Engineer, also noted that bids came in under budget, with Peter Baker & Son submitting the lowest qualifying bid. Residents in this neighborhood will not be allowed to park on their streets during the bulk of this project, which begins with contractors milling the concrete surface, saw cutting, and patching the pavement and joints as needed. This will be followed by the placement of a leveling bituminous asphalt binder course and the final surface. A cross sections detail of the project is included above to help visualize the improvement approach. 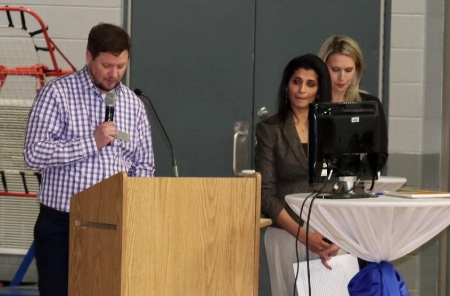 Neighbors will begin receiving direct communication from the Vernon Hills Public Works Department, and once the project begins, communications will be published on the Village website. Please expect delays through this neighborhood – and thank you for your patience and cooperation. 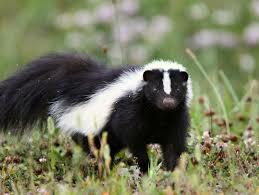 Please direct questions to Carissa Hansen at the Public Works Department, 847-367-3726 or CarissaH@vhills.org. 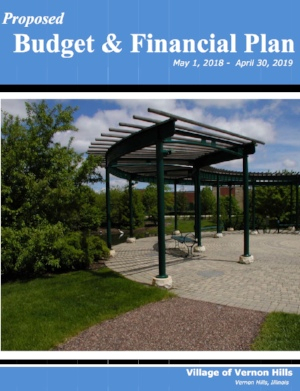 View the Proposed 2018-19 Village Budget, as well as the Proposed Budget Overview and Proposed Budget presentation from March 6. Draft Budget: The Village of Vernon Hills Proposed Budget for 2018-19 is available online – view the draft here. The Total Proposed Budget includes $31,365,970 in expenditures, $28,340,892 in revenues, and one-time use of reserves to spend on capital projects in the amount of $3.1 million. The Proposed Budget is in compliance with the Balanced Budget Ordinance requirements and the Village's reserve (fund balance) policy. State Budget Issues Continue to Impact Municipalities: Village Manager John Kalmar introduced the budget discussion by addressing the uncertainty created by ongoing budgeting issues at the State level. For instance, in an effort to help balance the State budget, legislators in Springfield have voted to hold on to more of the State Income Tax by reducing the amount of Local Government Distributive Fund (LGDF) revenue coming back to municipalities. For Vernon Hills, that reduction alone is estimated to equate to $570,000 less revenue. Village Health Currently Tied to Retail: The Village of Vernon Hills collects no property tax. Therefore, because approximately half of the revenue used to fund the Village of Vernon Hills comes from sales tax gathered within the Village, retail trends are particularly important. Staff continues to monitor the changing retail landscape, which has included a number of store closings within the Village, including Sports Authority, Gordmans, Charming Charlie's and HH Gregg. While other bigger box retailers have also announced cut backs, other major retailers have so far remained unscathed. That said, the retail landscape continues to change as more people move to online purchasing. On the positive side, the addition of recently opened Menards is expected to bring in additional revenue for the Village. By this fall, the Mellody Farm development should be largely operational, with retailers including REI, Homegoods, Nordstrom Rack, Whole Foods and Barnes & Noble contributing to sales tax revenue. Other Revenue Options: Village staff and elected officials continue to look for savings to offset revenue losses. In an effort to look at new revenues, the Village is considering implementation of a food and beverage tax and packaged liquor tax (proposed at 1%), or expansion of the amusement tax (which currently collects only from movie theaters). Discussions will continue. Questions on the budget? Please contact Village Manager John Kalmar (Johnk@vhills.org) or Finance Director Nikki Larson (NikkiL@vhills.org). Residents are encouraged to review the budget draft, attend meetings, and view proceedings on the Village's YouTube channel. Agendas and minutes are posted on the Agenda Center webpage. The Lake County Health Department's Animal Care and Control team has again partnered with the VHPD and Public Works to present a Pet Vaccination and Microchip Clinic on Saturday, April 28 from 9 a.m. to noon at Public Works, 490 Greenleaf Drive. This low-cost clinic is available to anyone (no residency verification is required). Techs will be on hand to provide annual vaccines (rabies, distemper), including Lake County tags, for as low as $20 for spayed/neutered pets. Microchips, which are used to identify pets if they become separated from their owners, will be available for $15. Cash, only. More information is available by calling Animal Care & Control at 847-377-4700 or visiting the Pet Vaccination/Microchip Clinic webpage. 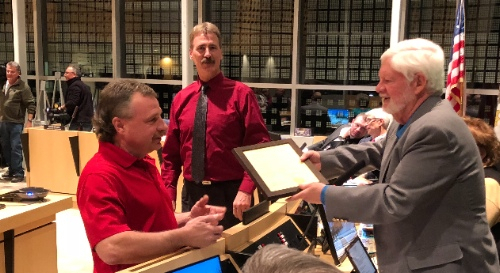 Long-time Public Works employee James Horsch receives a commemorative plaque from Village Board Pro Tempore Thom Koch while Public Works Director David Brown looks on. Jim is retiring after 24 years with the Village. Commander Ward Feger: During a February 26 ceremony, Sgt. Ward Feger was promoted to the rank of Commander. Commander Feger has been part of the VHPD for 26 years, during which time he has become well respected throughout the community – including in our schools where he has served as both the Hawthorn District 73 School Resource Officer and DARE Officer. Congratulations, Commander Feger. The Countryside Fire Protection District is currently working on their 2018-2020 Strategic Plan. Please consider offering your input by checking their Facebook page and taking their short survey. Thank you! A General Primary Election is scheduled for Tuesday, March 20. Early Voting is available until March 19 at selected sites. Registered voters may vote at any of the early voting sites. Please note that the Vernon Township early voting site has moved across the way to William E. Peterson Park, 16652 N Buffalo Grove Road – voting there is available until March 17, Monday through Friday from 9a to 5p, Saturday from 9a to 2p. In Illinois, voters must register prior to voting. "Grace Registration" is available for the 27 days before an election at the County Clerk's office during regular business hours and for the 15 days before an election at early voting sites. On Election Day (March 20), voters must appear at their assigned polling place, generally in their neighborhood. You will request either a Democrat or Republican ballot. Your selection does not mean you are a member of that party, only that you are selecting to choose among those candidates. Check your March 20 poll location as well as your ballot options through the personalized Voter Power website. REMINDER: The Laschen Center is closed. The polling place previously located in the Laschen Center has moved to the lower level of Village Hall, which is immediately adjacent to the Center. For more information about the election, including candidate lists, ballot samples, polling locations and more – visit the Lake County Clerk's election webpages as well as the Illinois State Board of Elections website. March 2018 topics include a look at the Aspen Drive Library expansion project, Cook Library programs and services, Vernon Hills Park District camps and opportunities, and the Skate Room located in Hawthorn Mall. Countryside Fire also encourages us to keep our neighborhood fire hydrants clear and accessible all year long. See all of the shows on the Vernon Hills Update YouTube channel. Scouting for Food Flier Delivery – Sat., March 10 throughout the Village. Scouts will return on March 17 to pick up any nonperishable donations for local pantries. 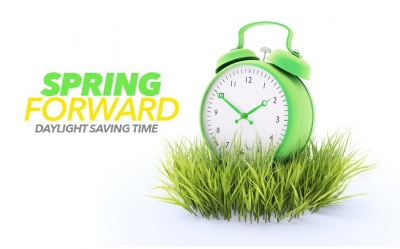 Daylight Savings Time Begins – Sunday morning, March 11 – "Spring forward" one hour on your clocks. Scouting for Food Collection – Sat., March 17. Beginning at 9 a.m., Scouts will move through the neighborhoods collecting any nonperishable items you have set out. Items go to local emergency food pantries. Boy Scout Troop 273 Pancake Breakfast/Fundraiser – Sat., April 14 from 8 to 11:30 a.m., Hawthorn Middle South, 600 Aspen Drive. For more information about Cook Memorial Library as well as events at either Cook Park (Libertyville) or the Aspen Drive Library (Vernon Hills), please visit www.cooklib.org. 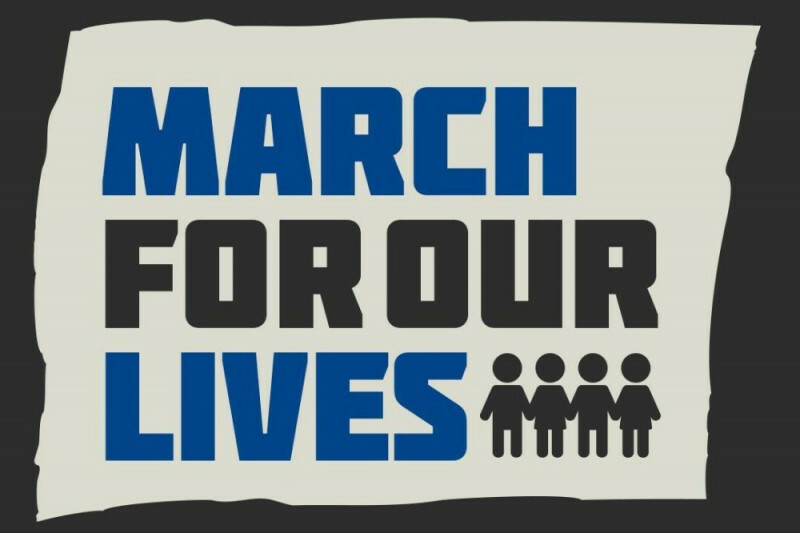 On March 24, students and families will be marching in Washington DC and across the nation with a message to end gun violence, particularly as it relates to school shootings (see MarchforOurLives.com). In Vernon Hills, volunteers are organizing Vernon Hills March for Our Lives, which is scheduled to gather near Hawthorn Middle School South, 600 N. Aspen Drive, beginning at approximately 11 a.m. on Saturday, March 24. Participants will listen to speakers, then march through the Deerpath neighborhood. Parking will be somewhat limited – please watch for signs and consider walking or carpooling. For information or to support this effort, please visit the Vernon Hills March for Our Lives GoFundMe page, or check the VH event Facebook page.